The recent Joint Staff Report on October 15, 2014, exploring an episode of unprecedented volatility in the U.S. Treasury market, revealed that primary dealers no longer account for most trading volume on the interdealer brokerage (IDB) platforms. This shift is noteworthy because dealers contribute to long-term liquidity provision via their willingness to hold positions across days. However, a large share of Treasury security trading occurs elsewhere, in the dealer-to-customer (DtC) market. In this post, we show that primary dealers maintain a majority share of secondary market trading volume when DtC trading is taken into account. We also use survey data on large dealers to characterize activity in the DtC market and discuss some of the gaps in the available Treasury trading volume data. Treasury securities trade in an over-the-counter market, rather than on an exchange like equities or futures. Traditionally, dealers have been the predominant market makers, buying and selling securities from customers to meet customer trading needs. Dealers also trade among themselves in the interdealer market to manage their interest rate risk. Virtually all interdealer trading is brokered by so-called interdealer brokers. The Joint Staff Report used confidential data to characterize trading volume in benchmark securities in the interdealer broker market by participant type on October 15, 2014, and control days from April 2014. The report found that “bank-dealers,” a category that includes primary dealers, only accounted for 34 percent to 43 percent of trading volume on October 15, and 40 percent to 44 percent of volume on the April 2014 control days, depending on the maturity of the security. Proprietary trading firms (PTFs), which first gained access to the interdealer platforms during 2003-4, accounted for 51 percent to 57 percent of activity on October 15 and 47 percent to 56 percent of activity on control days. While dealers may now account for a minority share of trading volume in the interdealer market, they also trade significant volume directly with their customers. (Note that this is not typically a part of the business model of PTFs.) Data reported to the New York Fed by the primary dealers via the FR 2004 statistical release show just how sizable this activity is. For example, over the first three quarters of 2015, average daily activity of these dealers in the DtC market was $292 billion per day, whereas their average daily activity in the interdealer broker market was $206 billion per day (the latter figure includes some double-counting). As shown in the table below, we estimate daily trading volume in the U.S. Treasury market to be $510 billion for the first two weeks of April 2014 and $1,214 billion for October 15, 2014, when trading volume reached a record high. The total equals the sum of DtC volume (as reported by the primary dealers on Form FR 2004) and IDB volume (as indicated by the confidential IDB data used in the Joint Staff Report). The table also reveals that primary dealers accounted for $345 billion of average daily trading volume in the overall Treasury market in the first two weeks of April 2014, or 68 percent of all activity, and $707 billion on October 15, 2014, or 58 percent of all activity. Primary dealer volume equals the sum of the DtC figure plus the share of IDB volume accounted for by primary dealers. We see that primary dealers’ high customer activity causes them to remain the predominant players in the Treasury market, even though they account for a minority share in the interdealer market. Market shares, of course, do not reveal whether or how trading parties contribute to price formation or liquidity. The Joint Staff Report, though, highlights important differences in the market behavior of dealers and PTFs in particular. It describes PTFs as tending to focus on the provision of short-term liquidity, with high trading volume but small net position changes over a trading session. The report also characterizes dealers as more willing to hold positions across sessions, and as having larger daily position changes relative to trading volume, and thus providing a greater degree of long-term liquidity provision. The DtC market is where end users buy and sell Treasuries with dealers in bilateral transactions typically arranged via request for quote (RfQ), an electronic protocol that allows a customer to request quotes from several dealers simultaneously, or over the phone (voice). An ad hoc survey of voice trading activity of the largest dealers, estimated to represent more than half of overall DtC activity, was conducted by the authors of the Joint Staff Report. The survey, which covered October 15, 2014, as well as April 2014 control dates, revealed that voice trading remains an important protocol for executing customer trades. In fact, we estimate from the dealer responses that roughly 62 percent of DtC trading volume still takes place over the phone on normal trading days, with the remaining 38 percent occurring via RfQ. The importance of the voice protocol in the DtC market on October 15 (64 percent of DtC volume) was similar to that on control days for these dealers. 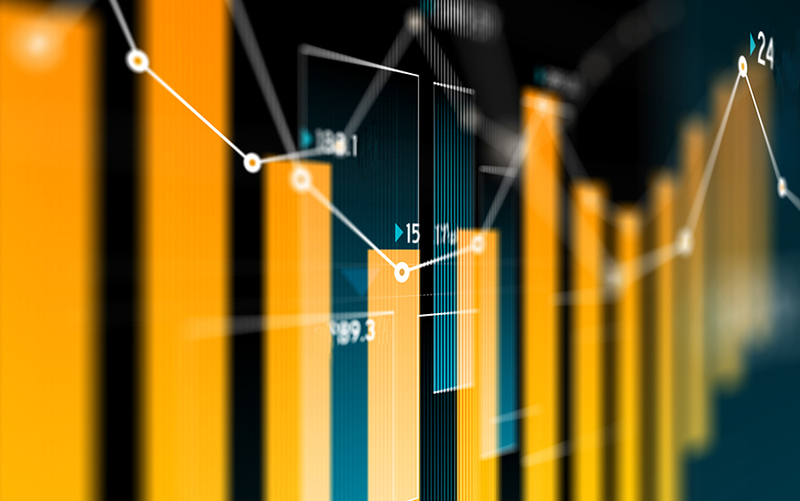 Given the observed changes in technology and shifts in participation in the Treasury market, it seems important to address how current data collection falls short. The Joint Staff Report showed that the lack of data readily available to the official sector makes it difficult for policy makers to conduct analysis in a timely manner. Our review of available Treasury market volume data sheds light on potential gaps. Some data gaps are unsurprising given the increasing prominence of nondealer participation in the wholesale Treasury market. Only primary dealers submit data on Form FR 2004 and greater market participation by PTFs has made FR 2004 statistics for IDB trading less complete than in the past. More routine access for officials to data from various trading platforms may be warranted. Changes in participation and technology may also make further refinement to the primary dealer subset of market data (that is, FR 2004 data) advisable. One example of improvement here could be further breakout of primary dealer customer trading flows into voice, RfQ, and internal streaming so as to better understand the evolution and importance of different liquidity venues available to end investors. The costs and benefits of such a change are worthy of further study. We show that primary dealers still account for most trading activity in the secondary market for U.S. Treasury securities, despite only accounting for a minority of activity in the interdealer market. The fact that this determination required using confidential data from the Joint Staff Report, and even so only provides approximate figures, highlights the limits of existing data collection, as recognized in that report. Improved data collection is a high priority for the official sector—as highlighted in the recent Treasury RFI—so that it can better monitor and safeguard the efficiency and stability of the deepest and most liquid government debt market in the world. Michael Fleming is a vice president in the Bank’s Research and Statistics Group. Frank Keane is a policy advisor and an assistant vice president in the Bank’s Markets Group. Ernst Schaumburg is the head of analytical development and an assistant vice president in the Bank’s Integrated Policy Analysis Group.